GROHE has won a record number of nine awards at the Red Dot Design Awards 2018 – one of the most prestigious international design recognitions of the world. The design competition is organized by Design Zentrum Nordrhein-Westfalen in Germany. GROHE receives the prestigious "Red Dots" for its water systems GROHE Red and the new GROHE BLUE Home Pull-Out version, bathroom collections such as the brand new ATRIO product generation, which was just revealed at the Fuorisalone in Milan with an immersive installation and the Spa Colours Collection, the Euphoria 260 shower head, the designer architectural flush plates and the SmartControl Concealed Shower System. 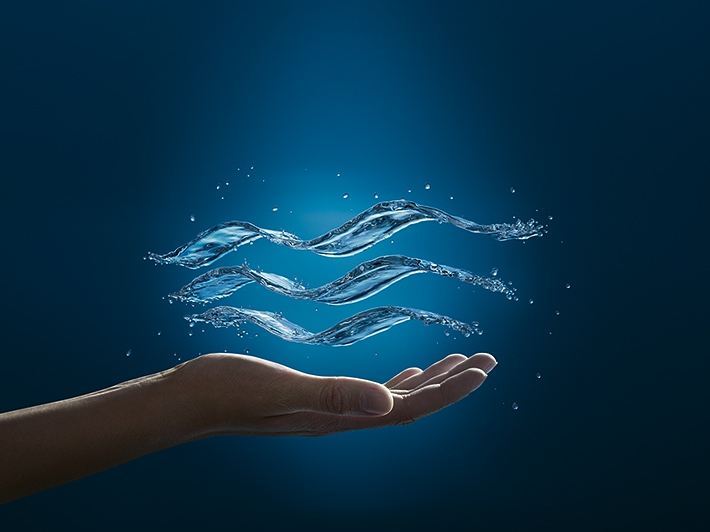 The GROHE Sense and GROHE Sense Guard water security systems also received the award. All of the awarded products will be shown in the exhibition of the Red Dot Design Museum in Essen, Germany, the largest museum for contemporary design. In addition, they will be presented in the Red Dot Design Yearbook, at the online portal Red Dot 21, in the app and online exhibition, starting on 9 July 2018. On the same day, the official awards ceremony, the Red Dot Gala and the subsequent Designers’ Night will take place in Essen. The international Red Dot Design competition is organized by the Design Zentrum Nordrhein-Westfalen e.V. in Germany and honours the best products of the year: designers and manufacturers from all over the world submit their products and a jury of 40 experts assesses the submissions based on criteria such as degree of innovation, functionality, ergonomics, longevity and ecological compatibility. This year, the jurors received submissions from 59 countries. GROHE presented its extraordinary product variety with intelligent solutions in modern designs for bathrooms and kitchens. With nine of the coveted Red Dot Awards, GROHE has once again successfully demonstrated its leading market position in the sanitary industry. As part of the globally networked LIXIL family GROHE is pleased about six more Red Dot Awards for LIXIL. American Standard received four awards while DXV received two awards. In addition, the Red Dot jury awarded the title “Honourable Mention” for LIXIL’s SATO V-Trap Toilet System, a twin-pit pour-flush latrine designed to help give millions of people across the globe access to hygienic sanitary facilities. GROHE attaches great importance to a consumer-centric, aesthetic and high-quality design of its products. Under the direction of Michael Seum, Vice President Design at GROHE, a team of 20 international designers develops all design ideas. GROHE attaches great importance to the fact that design as a corporate value is more than just a driver. Rather, it is firmly anchored in the company's DNA. “My team and I are very happy about this outstanding recognition of our work”, says Michael Seum. "We are very honored that our design philosophy is so well respected in the creative community. Our products have to stand out in a very competitive environment. Design is a very important key element. We want to create something unique and new, while also achieving design permanence. In addition to that, the aesthetics have to embody a deeper ease of use that will make it a pleasure for consumers to interact with our product." GROHE's high design standards are not limited to the products but extend to all areas of the customer experience – from packaging and costumer communication to the environment in retail and showrooms.